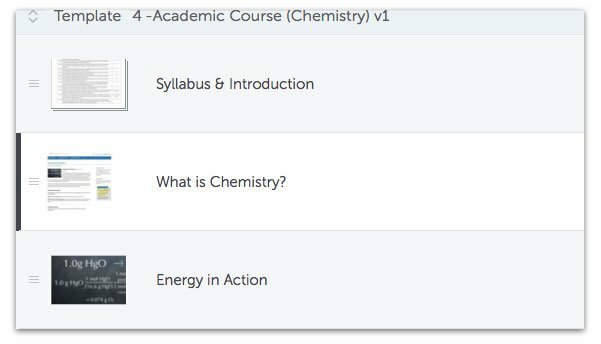 Go to Assignments in the Left side menu. 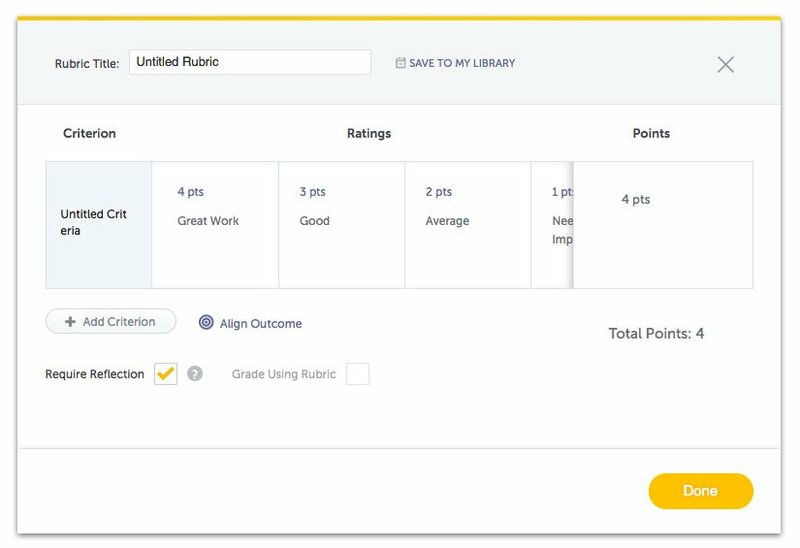 A modal will appear and allow you to create new or reuse an existing rubric or select a document, PDF or link for reference. 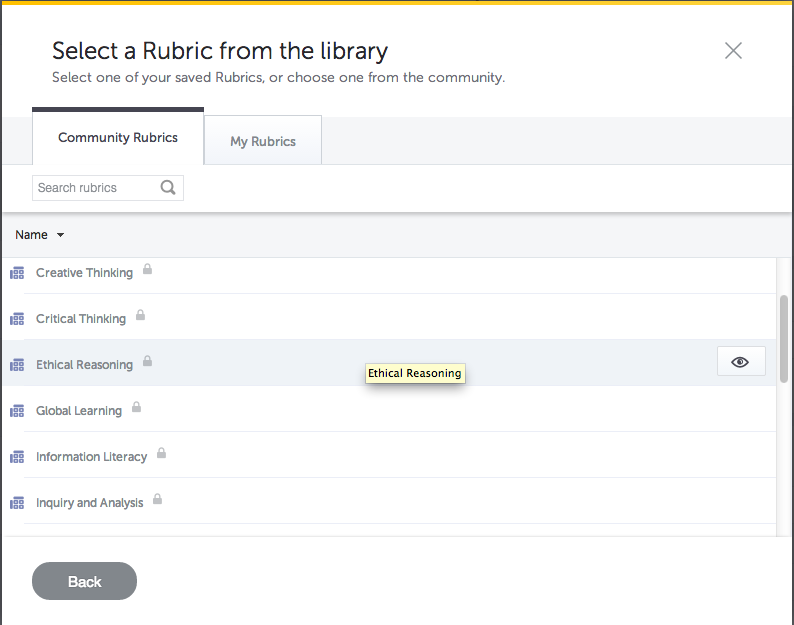 Click the ‘eye’ icon to preview the rubric before attaching it to the assignment. 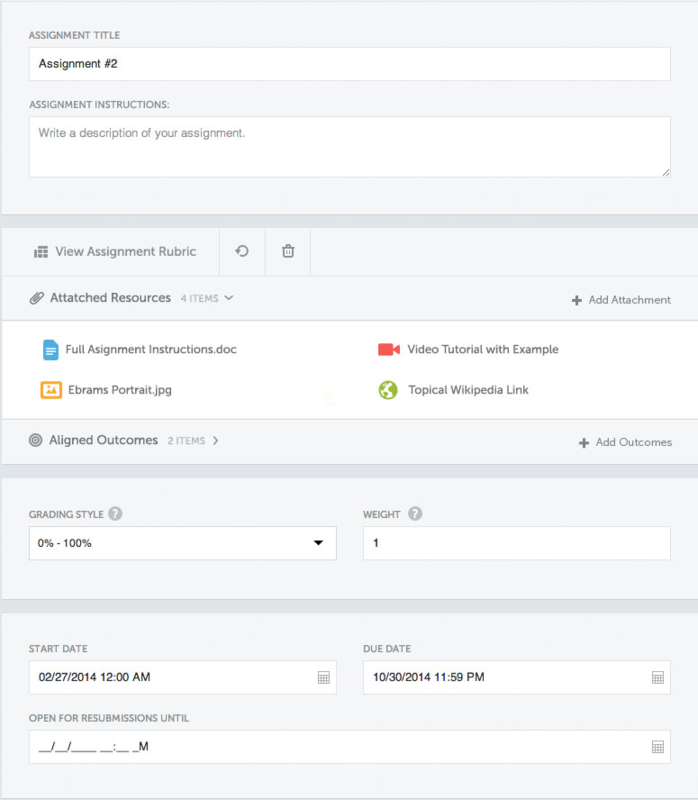 You can add supplementary files to your assignment to give your students context. E.g. 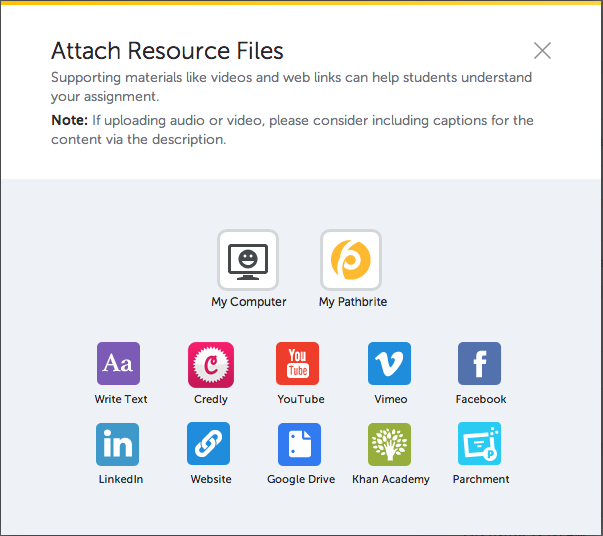 You can attach a document for students to read or a video for students to watch. 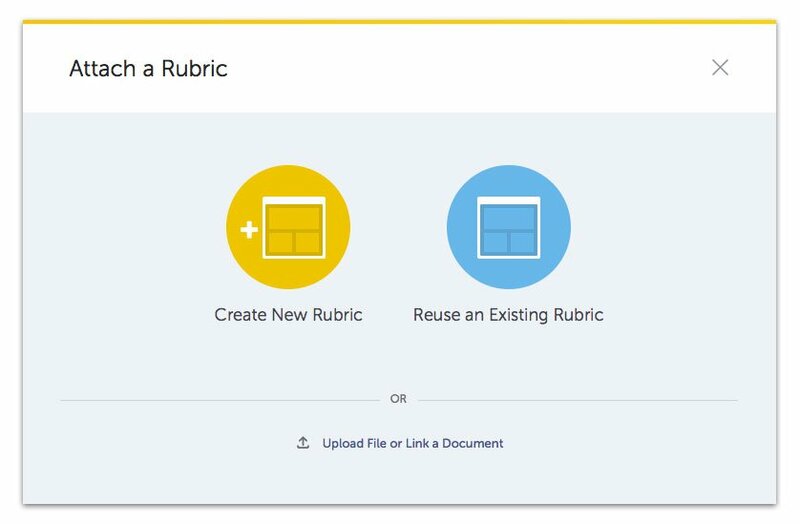 A submission is a required artifact or multiple required artifacts for an assignment. Students will be asked to submit one item per submission. 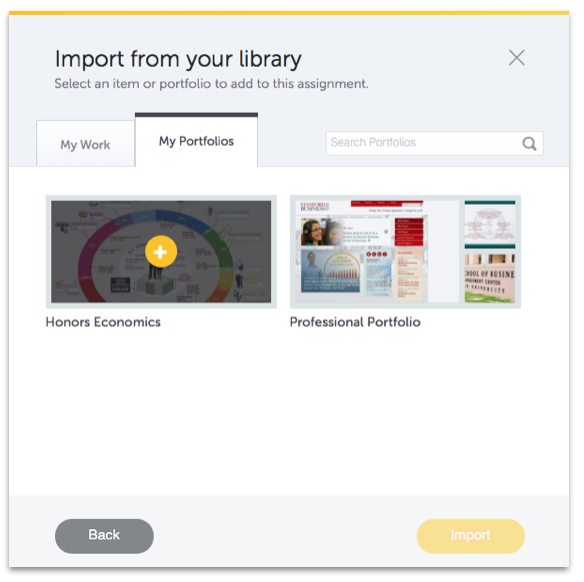 You can add work examples to indicate what you’d like your students to submit, or use them for flipped classroom materials (e.g. 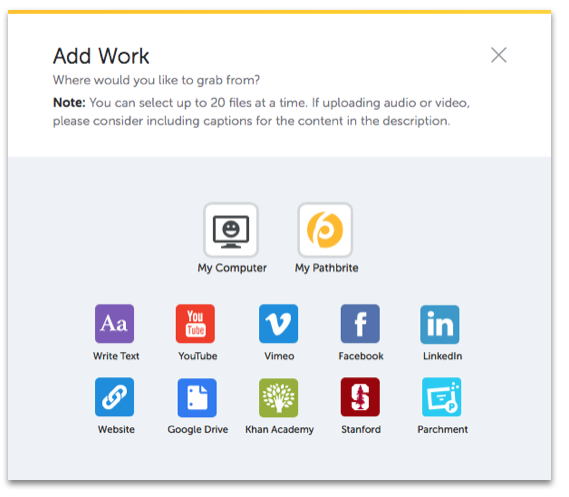 you might add a video as an example and have students watch it. 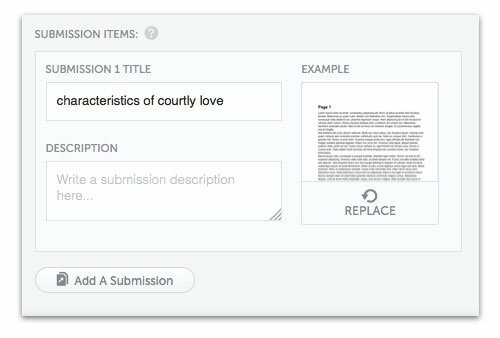 The submission item might be a reflection or a list of questions on what they watched). 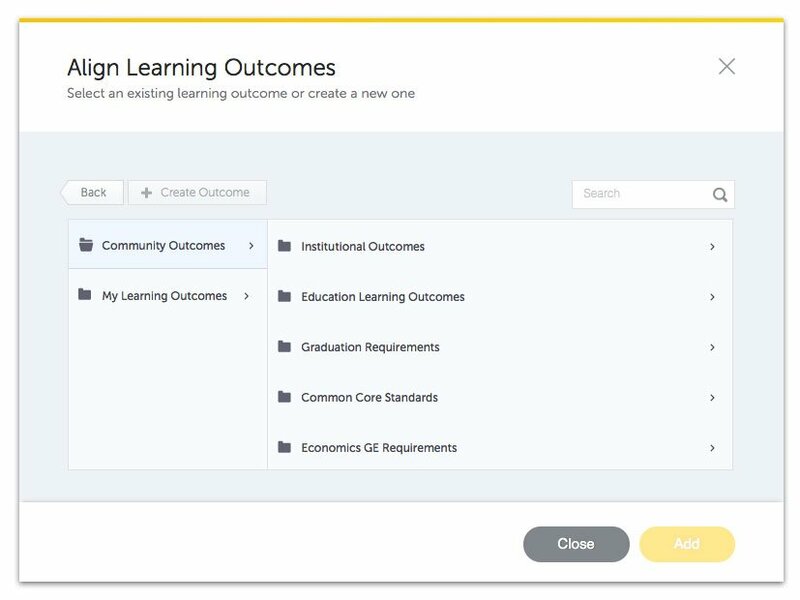 You may choose to alter the order in which assignments appear.